The African Paradise Flycatcher (Terpsiphone viridis) is a distinctive and colourful flycatcher (approximately 18cm in length) with bright blue legs, bill and eye-ring. Both the male and female are reddish-brown with a blue-black crested head. The male has long, streamer-like tail feathers that extend up to 18cm beyond the normal tail feathers. Its song, as described in ‘Birds of The Gambia and Senegal‘, is “variable, loud and cheerful, e.g. twee-twee-twee-twee twee-twee-twee-twee", and its call "a rasping zwhee-zwheh". It is a resident of The Gambia throughout the year, and is locally common in woodland. Can be found around the pools near the Darwin Field Station within the Abuko Nature Reserve. The water reservoirs that feed Mandina Lodge are also a good spot. Often in mixed spieces groups (e.g. with the Common Wattle-eye). Thank you to James Fisher for this wonderful contribution. You can see more of his superb bird photography from his trip to The Gambia with us on his site JFWildlife.co.uk, where you’ll also find many really beautiful images of the birds he has seen in the UK. You can also follow James on Twitter @j2fisher. 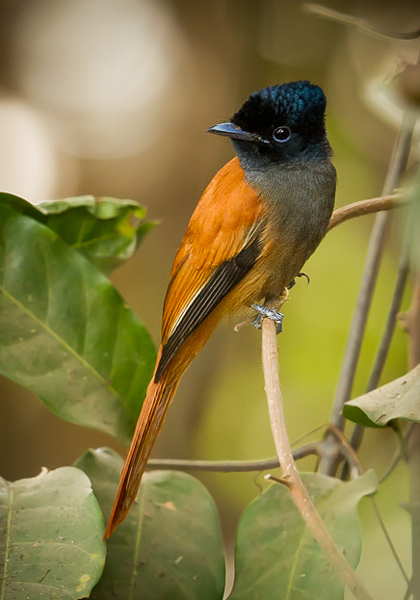 Have you seen an African Paradise Flycatcher in The Gambia? If yes, we’d love to hear from you and see any photos or even videos that you might have. 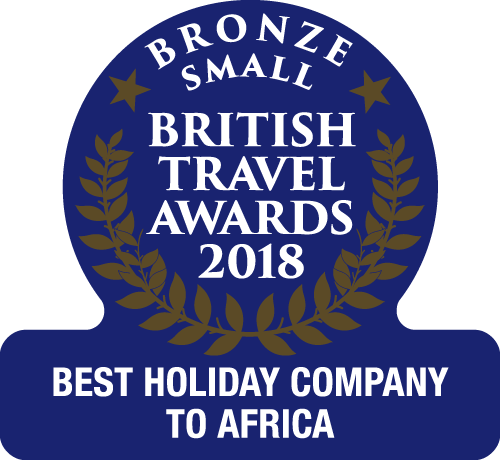 For information on our birding holidays in The Gambia, please visit our website.